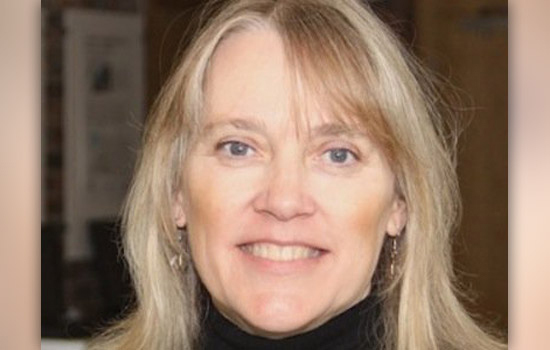 Vicki Hanson, president of the Association for Computing Machinery and a Distinguished Professor at RIT, will discuss hot topics in computing Oct. 14. Vicki Hanson, president of the Association for Computing Machinery—the world’s largest educational and scientific computing society—will help kick off RIT’s Brick City Homecoming & Family Weekend with a talk on Oct. 14. Hanson will discuss the latest in computing accessibility and human-computer interaction, as well as hot topics in the computing profession. Her talk is part of the B. Thomas Golisano College of Computing and Information Sciences Dean’s Lecture Series. The talk, “Advancing Computing as a Science and a Profession,” is from 12:30 to 1:30 p.m. Oct. 14 in RIT’s Golisano Hall auditorium. The event is free and open to the public. Hanson, who is also a Distinguished Professor at RIT, will touch on technology development as it affects society, along with how to create a workforce that is able to shape our future technology for the benefit of all. Hanson is a human-computer interaction expert and has been an ACM member and active volunteer for more than two decades. She has experience in both industry and academia. She has worked as a research staff member and manager with IBM Research, where she received an IBM Corporate Award for pioneering technology and innovation supporting IBM’s contributions to accessibility. Business Insider also named her one of the 25 Most Powerful Women Engineers in Tech. Hanson joined RIT in 2013, having previously worked as a professor and chair of inclusive technologies at the University of Dundee in Scotland, leading teams investigating issues of inclusion for older adults and people with disabilities. In 2016, Hanson was elected to represent more than 100,000 ACM members worldwide as president of the global computing society. The Dean’s Lecture Series, established in 2003, brings some of the leading minds in technology to the Golisano College to share their insights with students, faculty and the community. The lectures are free and open to the public. To register for the talk, go to the Brick City Homecoming & Family Weekend website.